If you happen to be missing a certain rash on the road and happen to be a Switch owner, this news will certainly make you grin. The once Wii U bound Road Redemption is making the natural jump the Nintendo Switch, according to a recent Twitter reply by developer Pixel Dash Studios. The game has been under active development since its original 2017 release on Steam and has been gathering steady positive feedback from fans ever since. We hope Shovel Knight and the four-player local split-screen mode survive the transition. This looks fun. If it plays as well as it looks, day 1 for me. 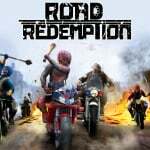 It is great that we are finally getting some more variety, but it is a shame that it has to be such a terribly reviewed game such as Road Redemption. I love the concept as I am a big fan of Road Rash games, but this game has been very poorly received. I bought this game on Steam and asked for a refund within 30 minutes. But I am totally on board that Road Rash 64 is underrated. I love that game and completed the entire campaign. Any game news is good news. Switch certainly needs any game it can get. Wasnt this the buggy unplayable thing that also landed on PS4? @JayJ Looks like it's got a lot of 7/10 reviews on PC, hardly terrible. It was annoying that the devs canned the Wii U version after promising there would be(it was confirmed for Wii U back in 2013 I believe) However, if the Switch version gets some positive reception, I'd be interested. And yeah, RR64 was so much fun. @thiswaynow I guess I must have only read some of the early reviews when people were rating it really poorly due to issues. Apparently the developer eventually got their act together and made a fairly decent game, lets hope the Switch version turns out alright, but it is definitely a game I would wait for a review for as the reviews for it are still very mixed. Im gonna be all over this like a rash, looks like great fun. The Road Rash games are still in my top 10 Megadrive games, they were so much fun and still are particularly number 2 and the music was awesome. In what world is Road Rash 64 underrated? Not this one. There hasnt been a good Road Rash since the 3DO one, ok got ported to PS1 but it wasnt as hood. Ive been waiting for this game, the Steam one is still technically unfinished but I hope the Switch version comes after the problems are ironed out. Looks alright. Loved Road Rash 2 back in the day and I remember the 3D0 version looking like the future in 1994. Thing is, on a system with literally hundreds of games and countless more coming, a game needs to be really good to stand a chance. I'm not sure this will. I remember playing road rash on the pc back in the day. I might pick this up when it comes out. @ReigningSemtex Yeah I think I was, good memory. I remember getting a game like that off Steam a while back and being really disappointed in it, but I think it was still early access back then. Hopefully this one turns out well. I have this on PC and it's fun. I'd probably like having it again on Switch just for the portability. This reminds me of a cheap china game I had on one of those "200 games in one" consoles called "crazy moto", exempt this looks 10,000% better! Completely forgot all about this game, but now I remember how excited I was for it back in 2013. Hope it turns out well, because I miss Road Rash. I think I'll listen to the RR64 soundtrack now. Ive been wanting a game like this for awhile. Not necessarily motorcycle-based as much as a game where I can drive onto and off rooftops and go crazy fast without the simulation physics. I’m talking about San Francisco Rush style racing or beetle adventure racing style even. This looks like it might just scratch the itch!! I wonder how much Shovel Knight gets paid for all these guest appearances?! Seriously I love him (or her depending on your choice). I actually hope they do a 16 bit version before a 64 bit version. A Shovel Knight with the superior graphics and music of the SNES era would be fantastic. As for this game, I watched a guy play it on youtube and it looked a broken mess but the guy playing it was in hysterics the entire time so thats good I suppose! Edit: I also concur that Road Rash 64 was amazing! Yay for more PC ports. Keeping an eye out for this, as like others said above, I miss Road Rash. Even though I go so ticked at the rubber banding on my Sega CD/Saturn (can’t remeber which) copy that I broke the disc, lol. @carlos82 The guns are what got you? Not the head being popped off within the first 20 seconds of the trailer? 😆 I can get down with the idea of the guns in an RR style game, but the decap was a bit much honestly. I play MK for that stuff, and always liked RR for its over the top but not ultra realistic violence, plus the bike upgrades. I was excited for this back when it was supposed to be coming to the Wii U. Unfortunately it didn't seem to turn out too good going by reviews/comments on PC. My favorite Road Rash was the 3DO version. Been meaning to pick this up on steam fora long time, just got a reason to wait a little longer! Maybe a tad bit much, but when the guy's head went flying... ha ha ha, I could't stop laughing. @Dm9982 Which Mario Kart have you been playing? You have to bear in mind that a lot of Switch owners would not have played this game,so it matters very little that it's a P.C port. With this confirmed, now all I need is for a release date of 90's arcade gp to be announced and I'm happy. These were 2 of my most wanted games for the WiiU when they were announced. 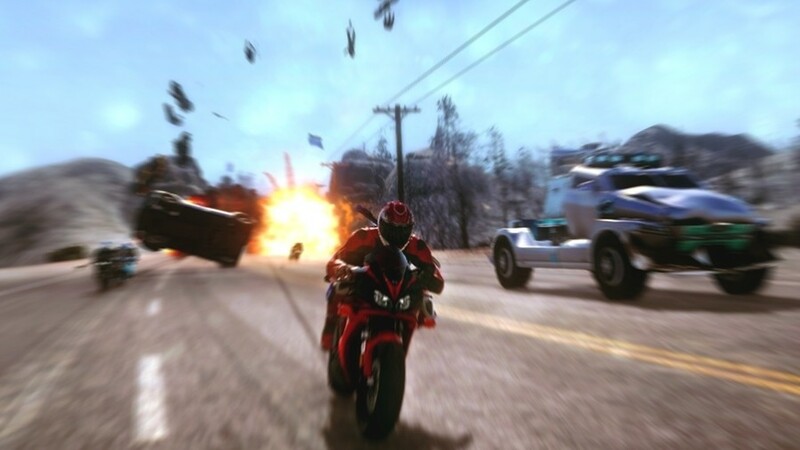 Hopefully they release Road Redemption in a playable state for the Switch, I'll be massively dissapointed after waiting for it to come out if it isn't. It's been in development for so long that there sbould be no excuses for it to be broken. Road Rash 3 was a huge hit for me and friends back on my first real Windows PC. Looks like a lot of good violent charm has carried over to this spiritual successor. I’ll be picking this up as it has done well on other platforms it’s likely to review well. It looks like the developers may be fans of Terminator 2. The way the shotgun is spun around in between shots and the grenade launcher looks like the same model from the reload animation. Loved playing Road Rash on Mega Drive, so i will pick this up. The rooftop track reminded me of Motorstorm Apocalypse, such a great game. @sketchturner Why, was the game bad or glitchy? I like the PC version of this a lot, so if it performs well on the Switch, I'm in for sure. I loved Road Rash on 3DO back in the day. This looks cool, but I’d like an option to turn off beheadings. That’s too graphic for my taste. I just hope and pray they have a cattle prod, and that it does the silly shock/X-ray that previous RR games had. That was always WAAAAAY too much fun for me.... especially because the riders would be locked into place for a short bit, and usually smash headfirst into oncoming traffic. This game and Motogp18 on its way as well - good news for bikers! It's crazy, but with all my retro game love and with my big collection, I don't think I have ever played a road rash game... I think I need to.